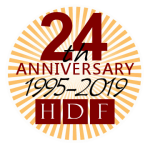 Davis Feickert founded HDF & Associates in 1995 with the mission of providing affordable, corporate quality Information Technology support and services to small businesses. With 10 years of experience working in the corporate and government technology fields, he felt that small businesses could benefit from the experiences and structured processes available to larger, corporate companies. His hands-on experience with all aspects of small business related technology and his extreme focus on customer service and taking responsibility for services make him an ideal member of your personalized technology team. Russ has been involved with computers since he was 12 years old. What started out as a hobby has evolved into a career. Russ has been working in the IT industry professionally since 1997. He became a Dell Certified Systems Engineer in 2003 and a Microsoft Certified Systems Engineer (MCSE) in 2006. Russ has significant experience with large and small networks, as well as help desk management experience. He has extensive knowledge of computer hardware and software, in addition to end user support. Russ enjoys helping people, and is happy to bring that helpfulness and technical experience to HDF. John has over 26 years of professional IT support experience. He has worked with government agencies and for profit companies both large and small providing all levels of support. John has a Masters in IT and holds MCSA certification. He is experienced with server and desktop hardware and software problem resolution as well as networking services and devices. He has always enjoyed the technical challenges that IT brings. John returns to the HDF team as a consultant after a period of time away in the government space. He looks forward to providing HDF customers with the exceptional level of support that they are used to. © HDF & Associates, LLC - 2019. All rights reserved.